At Lockheed, he was involved in airplane conceptual and preliminary design and was stress lead engineer responsible for the L-1011 wide body aircraft wing and empennage structures. During 1966 and 1968, he served as stress engineer to B727, B747, etc. at The Boeing Company in Seattle. 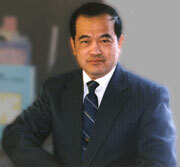 Prof. Niu is the author of the texts, AIRFRAME STRUCTURAL DESIGN (Second Edition, 1999), COMPOSITE AIRFRAME STRUCTURES (1992), and AIRFRAME STRESS ANALYSIS AND SIZING (Second Edition, 1999). He has also written Lockheed's Composites Design Guide and Composites Drafting Handbook. He received the Lockheed Award of Achievement and Award of Product Excellence in 1973 and 1986 respectively. He is listed in Who's Who in Aviation, 1973. Prof. Niu is a consulting professor at Beijing University of Aeronautics and Astronautics and chair professor at Nanjing University of Aeronautics and Astronautics of the People's Republic of China. He has been an honorary adviser in structures and airplane design to the Aero Industry development Center (AIDC), Taiwan (China) since 1973. Prof. Niu received a B. S. in Hydraulic Engineering from Chungyuan University, Taiwan, in 1962 and M. S. in Civil Engineering from the University of Wyoming in 1966.